Opening hours: General opening hours are 9am-7pm on weekdays and 9am-4pm on Saturdays. Shopping centres has extended opening hours and is generally open 9am-9pm on weekdays and 9am-6pm on Saturdays. All shops are closed on Sundays. 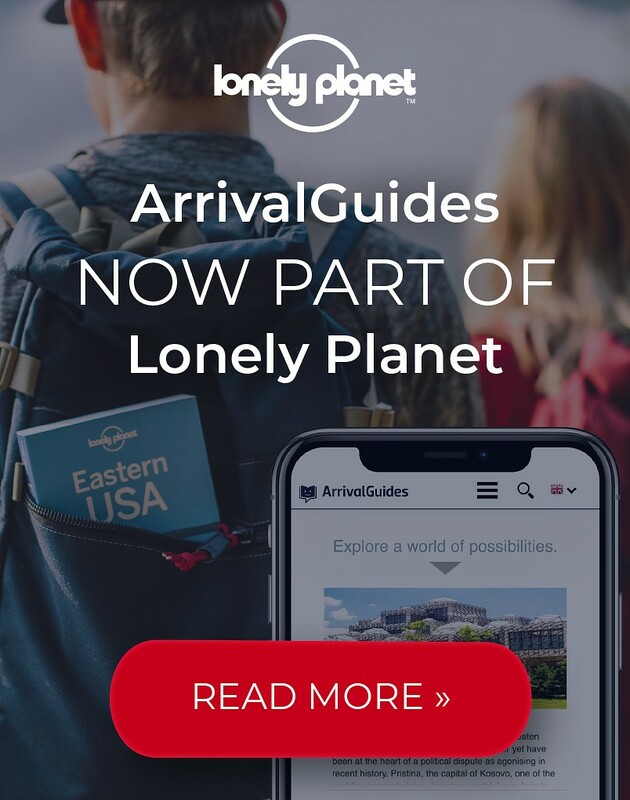 Haugesund is a buoyant centre for cultural and sporting events, as well as a launch pad used by many to explore the fascinating natural surroundings in the area. Additionally, the Norwegian International Film Festival is held in Haugesund every year and the town likes to project itself as Norway’s Cannes. Explore the fantastic waterfall that has been rated as the number one waterfall by worldofwaterfalls.com. This is possibly one of the most beautiful cascade waterfalls in the world. The river spills over the side of a long mountain slope before it joins the waters of the Åkra Fjord. You can easily reach the waterfall by car. 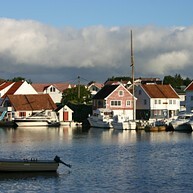 In Haugesund you can come close to the essence of Norway with the beautiful fjords, rivers and lakes. A variety of trails give a splendid view of the landscape that can be explored all year around. Haugesund and its surroundings offer a powder paradise for both alpine and cross-country skiers within a 30-90 minutes drive. 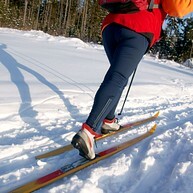 Especially the Røldal Ski Destination is famous for its frequent snow fall and good skiing conditions. Steinfjellet provides an absolutely fantastic panoramic view of the city and surrounding area. Rest your eyes on Haugesund and the North Sea from a height of 227 metres above sea level. The national monument of the Unification of Norway was erected in 1872. This was done during the centennial celebrations of Norway’s unification into one kingdom. The Town Hall was designed by the architects Gudolf Blakstad and Hermann Munthe-Kaas and was given as a gift to the town. It opened officially in 1931 and the park opened in 1949. The Town Hall is one of the most famous buildings in Norway and contains a wealth of artistic decorations. 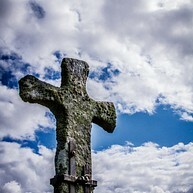 Krosshaugen is a stone cross dating from the earliest Christian period in Norway (about 1000 AD). This location has functioned as a Parliament site and the cross may be a monument to the farmers who converted to the Christian faith during sessions of Parliament. It is believed that Christian mass was performed beside these stone crosses before churches were built. 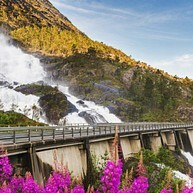 The only salt-water sluice in Norway dates back to 1908 and is still in full working condition. 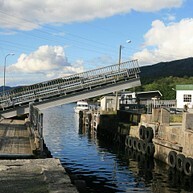 There is an annual Sluice Festival in Skjoldastraumen, as well. Røvær is an idyllic group of islands situated 10 kilometres west of Haugesund that has a population of approximately 100 people. The islands are home to an abundant plant and bird life and are also a great place for fishing. 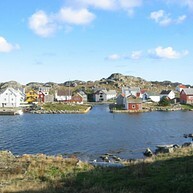 About an hour ferry ride from Haugesund lies the small island of Utsira. Long heralded as a wonderful place for bird-watching, it has recently emerged as a prime centre for street art, even though the island has no streets. There are about 70 pieces spread out all around the island, giving visitors yet another reason to explore it to the fullest. 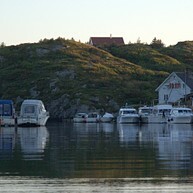 To get a true feeling of the Haugalandet area, you must view it from the water. The rocky landscapes have a barren beauty to them, and navigating through fjords and stones is a unique Norwegian experience. 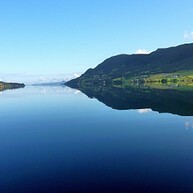 Ravnafloke offers 1-hour boat and rafting tours, as well as all manner of outdoor activities. 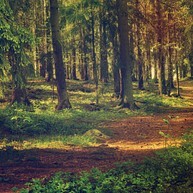 Djupadalen is a lovely forest and recreational area located very near the city centre of Haugesund. It is a very popular place for hiking, as there is an approximately 10km track running through it, and it is also possible to swim in the small Eivindsvannet lake in the warmer summer months. Travel back in time to the somewhere between 1850 and 1950 at the Museum Farm at Ørpetveit. 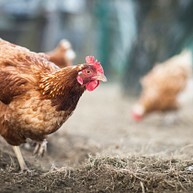 Discover how a traditional local farm functioned by visiting the farmhouse, barn, well, hencoop and cowshed and see all the parts of a working farm. At the Nordvegen History Centre and Viking Settlement you can be a viking for a day. This authentic Viking Village and the History Centre at Avaldsnes give you the opportunity to see and feel the life of the Scandinavian Vikings that lived here a thousand years ago.